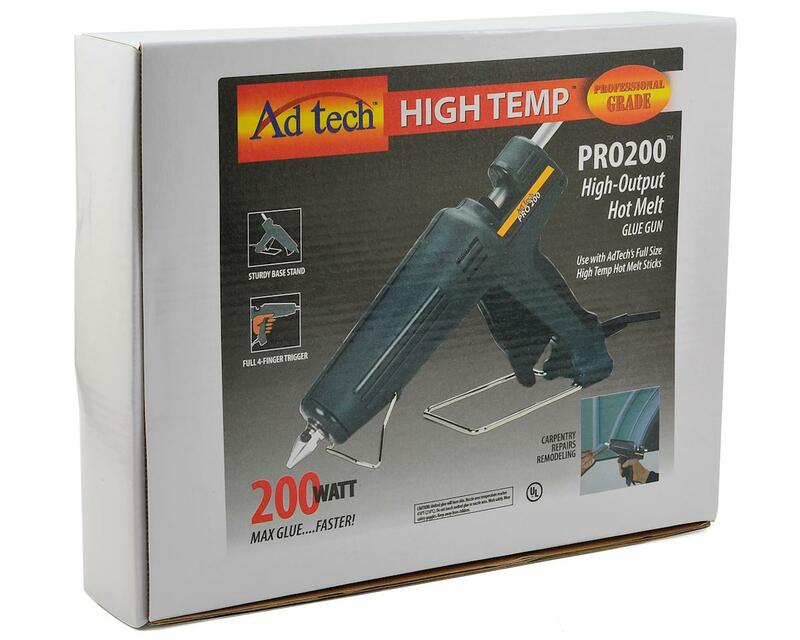 The Ad TechPro-200 Hot Melt Glue Gun offers an output rate of 3.5 lbs per hour. 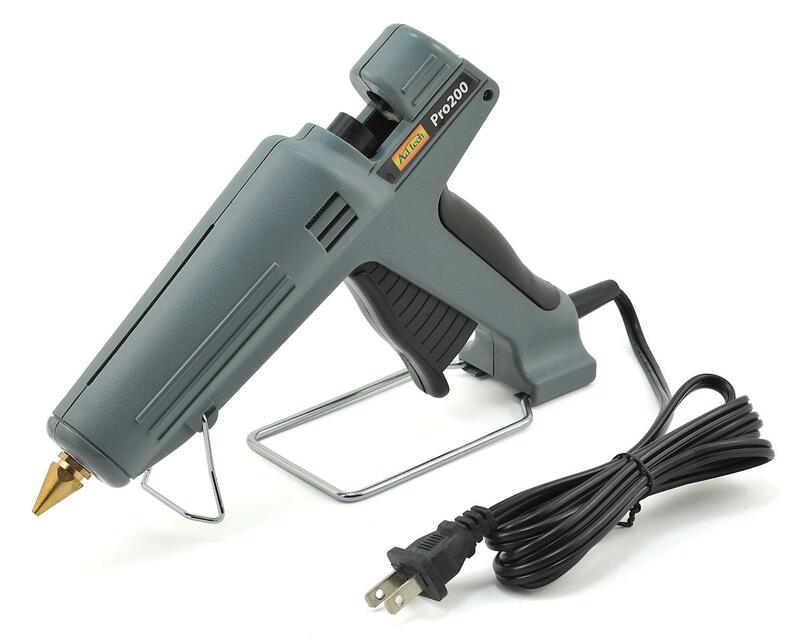 This glue gun has an amazing 3 minute warm up time, a stable dual stands system, combined with a comfortable 4 finger trigger. The 4 finger trigger makes it very comfortable to use and you will not have to worry about your fingers getting tired. The PRO 200 was manufactured with a high impact resin that will withstand daily industrial use and has the option of interchangeable hot melt nozzles (not included) to adapt to specific applications and needs.